Matt gatefold sleeve (very slight grain in the paper for the outer cover). Complete with glued-in 4 page booklet. Printed by Howards Printers Ltd (credit on inside rear cover). 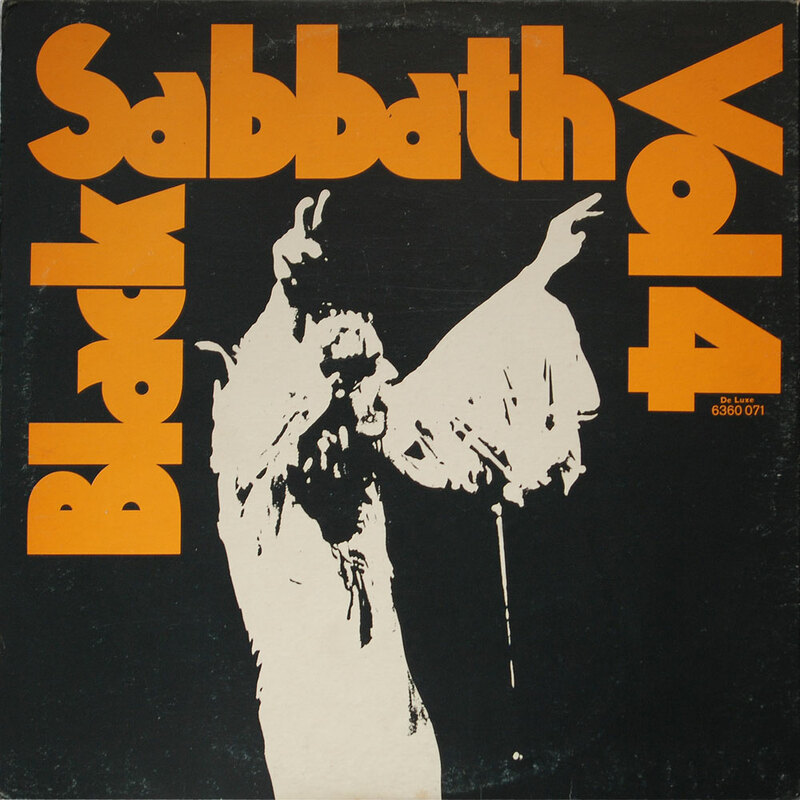 Original sleeve has ‘VO Price Code’ on rear sleeve and NO track times on inner gatefold. 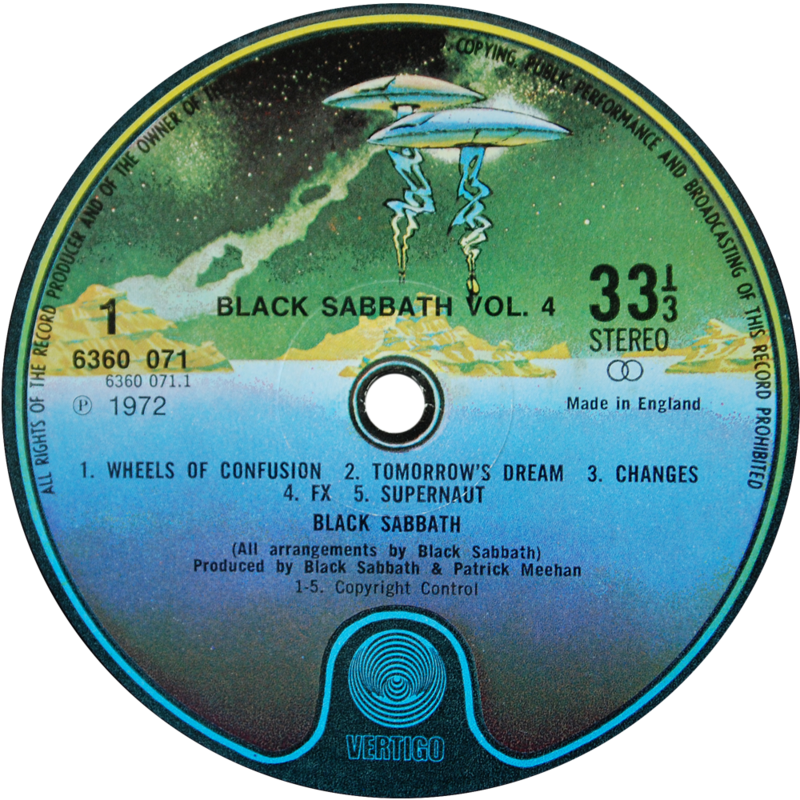 2nd issue has ‘Deluxe’ on rear sleeve and track times on inner gatefold, still printed by Howards Printers Ltd.
Small swirl and VERTIGO above spindle. 2nd issue has ‘Made In England’ text above the 33 1/3 on label. 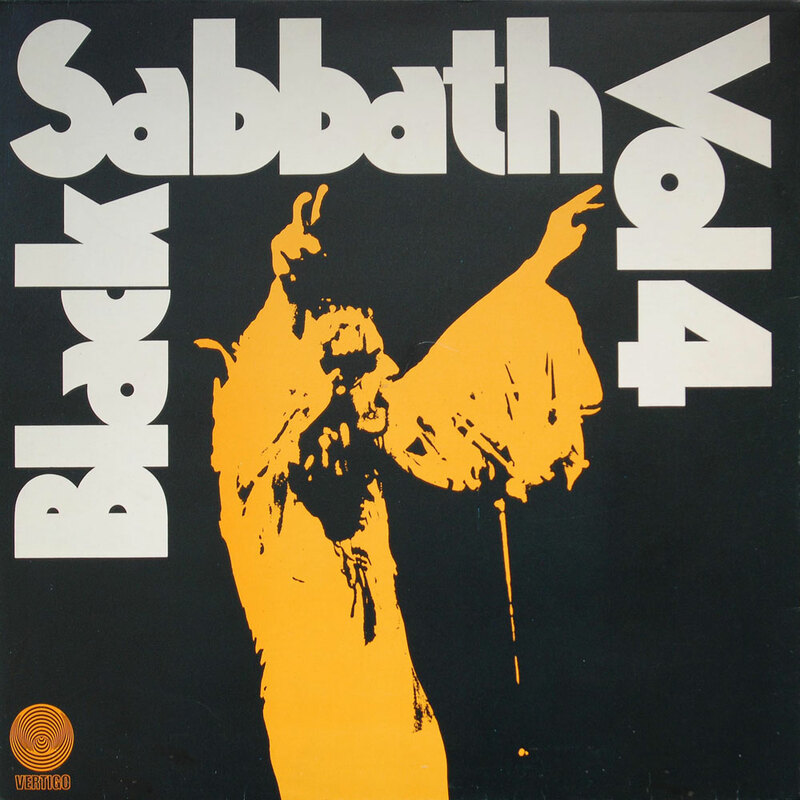 Spaceship version has same 1Y//2 and 2Y//2 matrices and same ‘Deluxe’ sleeve with track times as 2nd issue above. “Black Sabbath Vol. 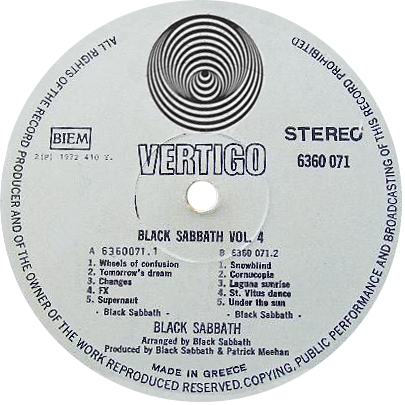 4” was reissued on the WWA label (along with the rest of the back catalogue) and in many cases simply relabelled existing Vertigo pressed vinyl with a new WWA label – you’ll find early WWA releases stamped with Vertigo matrices, housed in Vertigo sleeves (in some cases over-stickered with a WWA catalogue number label). 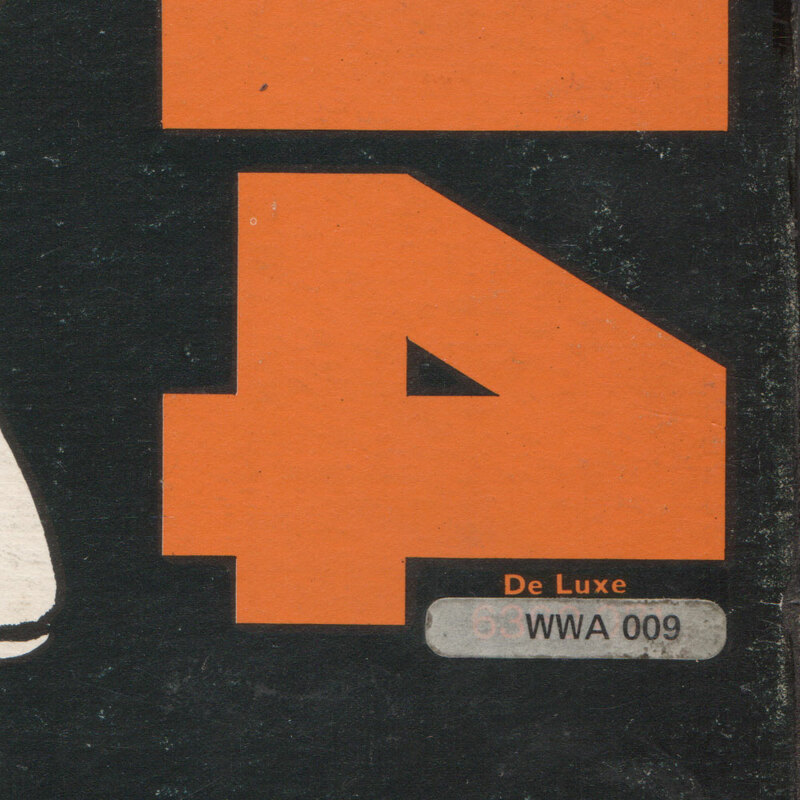 Note the 2nd issue ‘De Luxe’ sleeve variant (that came with the ‘Made In England’ swirl and then the Spaceship label) and the oversticker of the WWA 009 catalogue number. 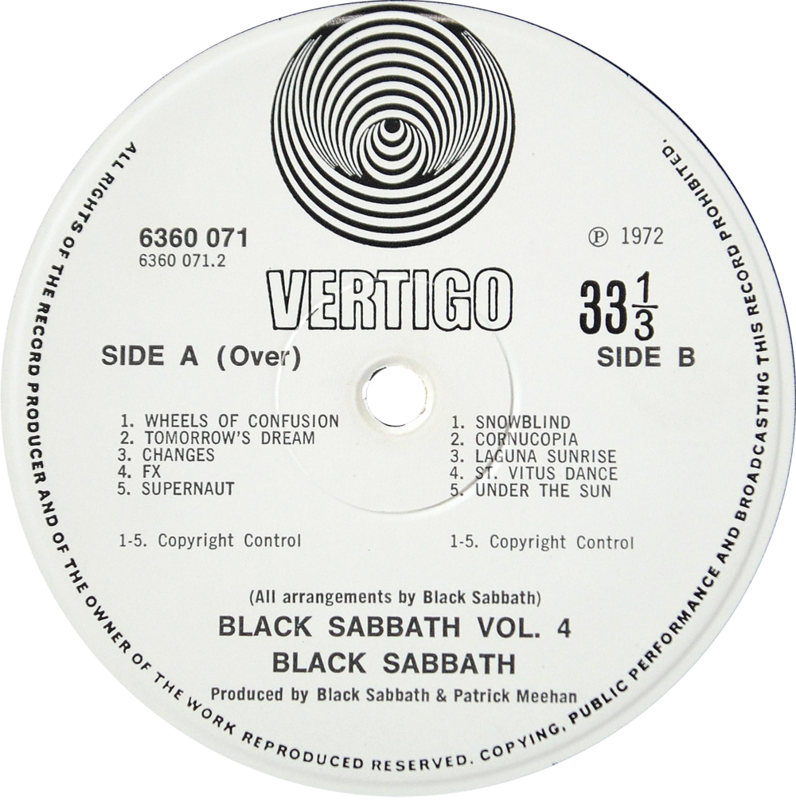 The rest of the sleeve is unchanged and has Vertigo logo on front and Vertigo name and catalogue number on spine. 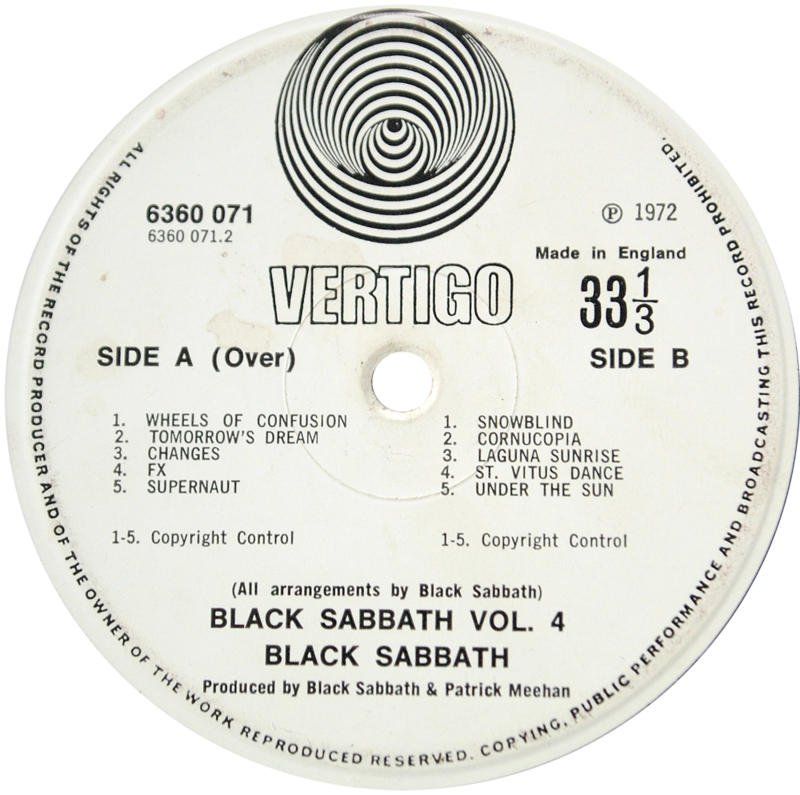 The Vertigo stamped matrix is clearly visible and is identical to 2nd press swirls and spaceship copies: 6360071 1Y//2 ▽ 420 1 1 5. On this WWA labelled copy, the 6360071 has been lightly crossed out. 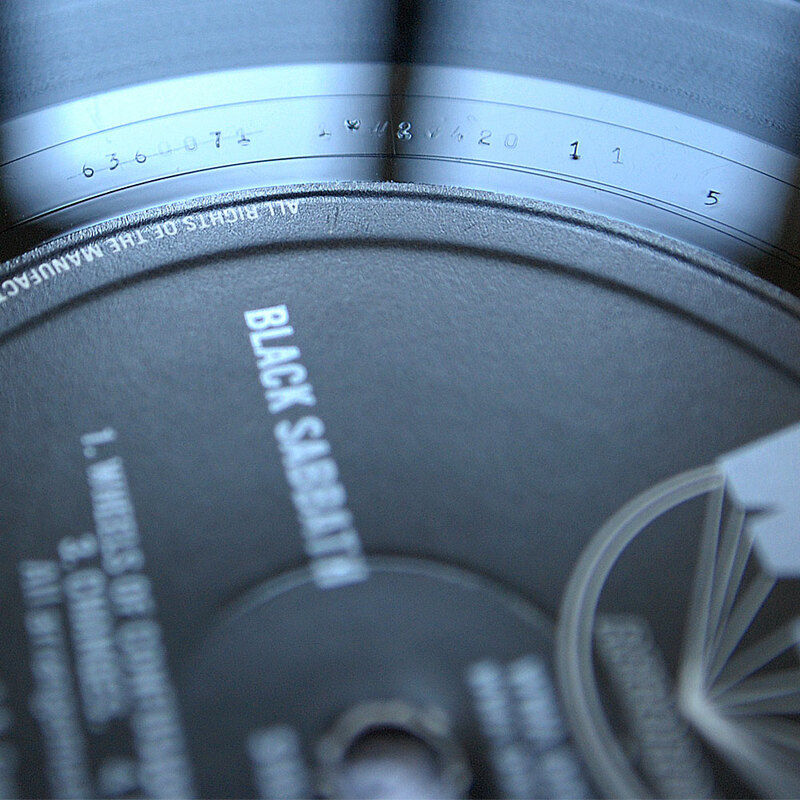 The WWA009 catalogue number is lightly etched in by hand further around the label deadwax.